After a hard personal year, I was super excited at the opportunity to cross off one of my bucket list items – seeing Garth Brooks in concert! As a fan since his album in 1989 (hard to believe that’s 26 years ago! ), I’ve waited a long time to get to hear his beautiful voice in concert. I desperately wanted to go to Las Vegas when he had his shows there but that was neither financially feasible nor responsible when I had twin babies at home! When tickets came available in Cleveland, Ohio within driving distance from home I called one of my best friends and we made a date. Once the stress of trying to get tickets was over we began our planning for a fantastic girls weekend in Cleveland. The first decision is finding a fantastic hotel that is comfortable, clean, well appointed and includes a great breakfast. As a big fan of Hilton Garden Inn hotels for family travel I knew it would be fantastic for a girls weekend getaway too. 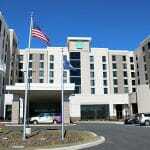 The Hilton Garden Inn Cleveland East was in a great location for coming in and out of the city and close to shopping. Located just 15 minutes outside of Cleveland the drive in and out of the city was easy to navigate and smooth driving. We visited on a weekend and had zero issues with traffic. Garden Sleep System® bed = the best nights sleep! Check out some of our pictures from the trip! After a late night at the concert and a lovely sleep in it was so wonderful to head to the Garden Grille & Bar restaurant with made to order breakfast, a continental bar, and as much coffee as you can drink! I had a scrumptious omelet, some pastries, and yogurt plus grabbed some fruit for the drive home. A perfect way to start the day and excellent service as well. Another great feature of the hotel is they will gladly accept packages for you. This is a great feature when you are Canadian and looking to purchase some items that only ship to US addresses. It was great to arrive and have my boys snowsuits there in a box ready for me! Safe, secure and easy. We loved our stay at the Hilton Garden Inn Cleveland East and would highly recommend it to those heading to Cleveland for family, personal or business travel. Disclosure: I received this hotel stay at no cost in exchange for my review. As always all opinions are my own. Photographs are courtesy of Hilton Garden Inn and used with permission. This looks like a very clean place to stay, which is my #1 must have feature when it comes to hotels. 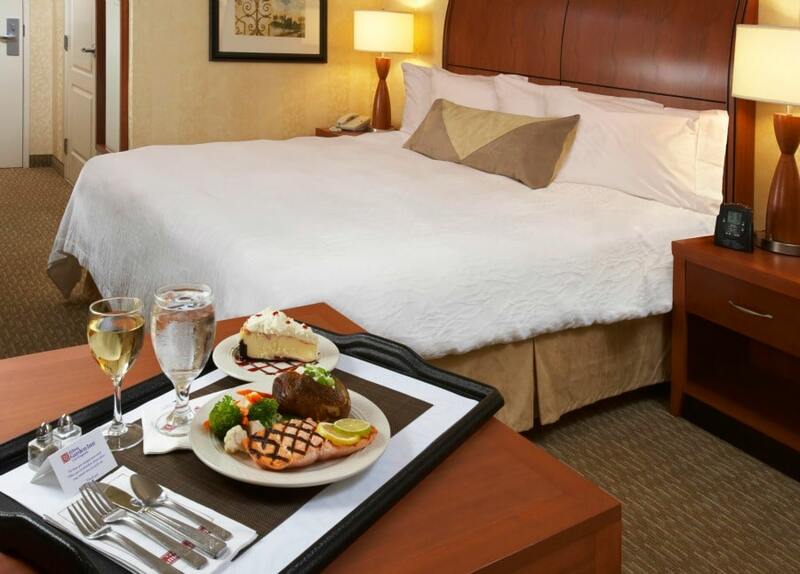 The room services looks top notch too, that cheesecake – wow. PS – I AM INCREDIBLY JEALOUS YOU SAW GARTH! Yes! Food was fantastic – and hotel was wonderful. So awesome. And Garth = spectacular! I just woke up from a 2 hour nap.. but the photos of that bed make me want to jump right in it and go back to sleep! Yes! Absolutely a fantastic treat to be away in a wonderful place. What a fun getaway! That sounds like a great place to stay!! We’ve stayed at a few Hilton Gardens over the years and have never been disappointed. I always know it’s going to be a comfortable stay with great service! The place looks fantastic. The food alone I would come there. I’ve never been disappointed with places like this. Usually it’s great service & clean rooms. We really enjoy Hilton Properties and stay in them whenever we can. The beds are the best aren’t they? I love the duvet covers too. Yes! Forgot to mention the duvet covers – they are fantastic. I have a friend who also was able to see Garth Brooks. She said he was mesmerizing! This looks like a gorgeous and cozy place to stay! It was remarkable! Amazing performer and voice. I’d love a getaway like that. Sometimes, it’s nice to have a getaway where you just do nothing and relax at a nice hotel. What a great getaway! The hotel looks so clean and luxurious, on site restaurants are always a plus….. can I just say how jealous I am? The whole girl getaway looks amazing. 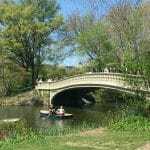 Looks like an awesome place for a giveaway. Very clean and comfy looking, I could use a place like this to stay! This looks like such a nice place. The Hilton Garden Inn would be ideal for a visit to Cleveland with my boyfriend. 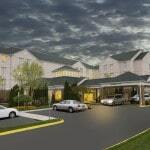 The Hilton Garden Inn Cleveland East looks like a great place to stay. I love the decor of the room. It looks like a very comfortable place to stay. I would love to stay at the Hilton Garden Inn Cleveland East. I am hoping to be in the area later this year. I will have to check it out. That looks like a great place to stay! A girl getaway sounds awsome! I love a weekend getaway!! This looks like an amazing hotel to have a getaway at! Sounds like a wonderful time. I would love to go there someday. Oh wow! I too have been a Garth Brooks fan forever. I would have absolutely gone to his concert if it was close to my home. The Hilton Garden Inn Cleveland looks great. I always trust and enjoy staying at any Hilton hotels. An indoor pool is always a bonus. I’m happy you had a great weekend getaway! Fun! I would love to stay a night at a Hilton and go to a concert. My husband and I could sure use the date night! Great Post!! This Hotel looks to very clean and wonderful! 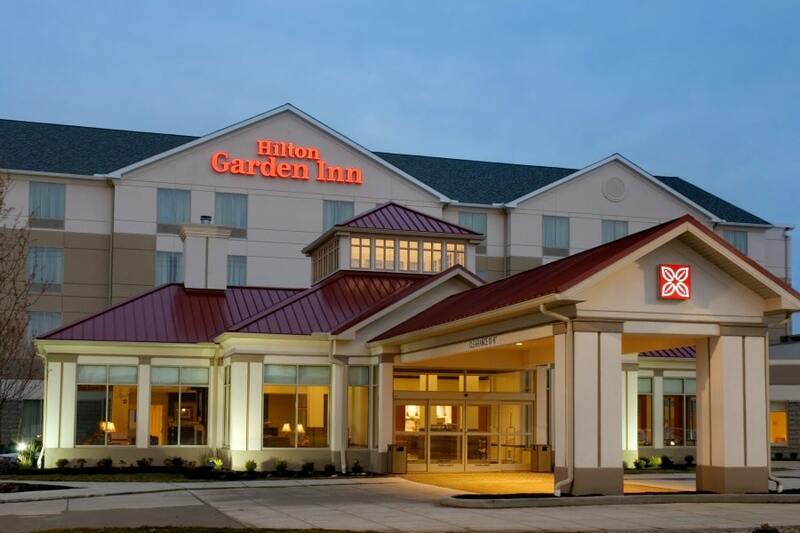 Moreover, The Hilton Garden Inn Akron-Canton Airport Hotel is just at the entrance to the Akron, Canton Airport. This also offers complimentary shuttle rides to the airport. All guestrooms are fully equipped with high speed internet access and spacious work desk. It’s just very helping post.